What do fibromyalgia and sleep disorders have in common? It turns out that the two are often found together. When researchers evaluated 600 people diagnosed with fibromyalgia in southern California, more than 95 percent were identified as “problem sleepers.” When close to 500 of those participants were re-evaluated one year later, more than 90 percent were still struggling with sleep issues. The researchers printed their study in the peer-reviewed journal Arthritis & Rheumatism in 2013 with the conclusion that sleep disturbances are a serious problem that amplifies other symptoms of fibromyalgia. If you have fibromyalgia, chances are high that you also have symptoms of at least one sleep disorder. It’s so common for fibromyalgia sufferers to feel extreme fatigue and to wake up unrefreshed that these symptoms were added to diagnostic criteria for the condition in 2010. Researchers have identified specific sleep disturbances that occur in approximately 70 percent of those with fibromyalgia. It’s sometimes referred to as non-restorative sleep syndrome and is caused by elevated arousal that disturbs the deeper stages of sleep. Fibromyalgia sufferers with this condition are aroused during the later stages of sleep, which is why morning fatigue is so common in people with this condition. This disruption in the sleep cycle can lead to daytime drowsiness that amplifies the pain that fibromyalgia patients already experience. Elevations in pain make it more difficult for many people to sleep at night, which only makes the problem worse. It’s easy to get caught up in this cycle for weeks if not months or years if you don’t seek help. Restless Leg Syndrome – This condition causes tingling in one or both legs that is relieved by movement. Approximately half of all fibromyalgia sufferers also have this condition, but it’s more likely to affect women of childbearing age who also suffer from anemia. Sleep Apnea – This condition causes the sufferer to stop breathing multiple times during the night and is sometimes fatal. It’s more likely to impact women and is more likely to occur in those who are overweight. You can have either or both of these sleep disorders without suffering from fibromyalgia. It is likely that most people suffer from insomnia due to the pain and physical discomforts caused by any chronic pain disorder. Sleep apnea is often caused by obesity or smoking, and restless leg syndrome is common in people who are deficient in minerals or iron. The real danger is that a sleep disorder can intensify other fibromyalgia symptoms. Seeking medical treatment to rule out nutritional deficiencies and other underlying conditions may help you improve some of the pain that comes from fibromyalgia and sleep disorders. Treatments for insomnia and other sleep disorders aren’t unique for fibromyalgia sufferers. Cognitive behavioral therapy or counseling is often useful for insomnia, but there are often many variables with fibromyalgia that need to be addressed on a continual basis. Most people sleep better in a dark environment, and the light from television sets or computers can trigger wakefulness in your brain. However, you may need a small nightlight for trips to the bathroom during the night. Melatonin is best produced in the body through darkness, but don't worry if total darkness doesn't work well for you. Use extra pillows or create your own body pillow. You can add a topper or change the bedding if you aren’t comfortable but can’t afford to replace the mattress entirely. Make sure the temperature in the bedroom is comfortable. Adding an electric blanket or hanging a ceiling fan over the bed can help regulate temperature only in this room. Use the bedroom for nothing other than sleep. You want your brain to register that it’s time to sleep when you settle into the room. 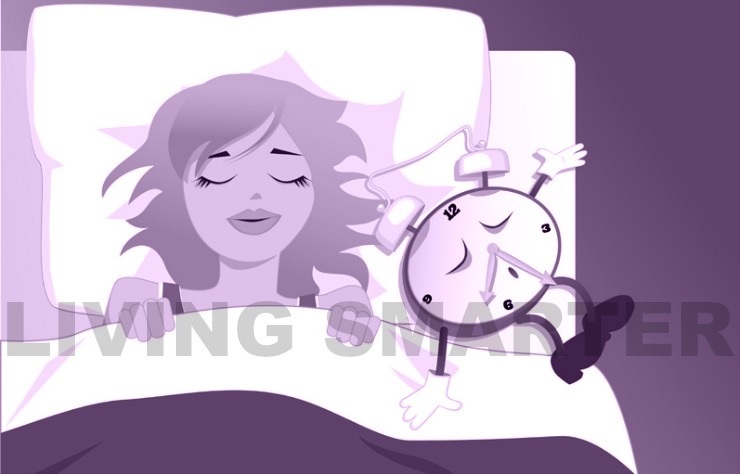 Try to go to bed around the same time every night, except for special occasions. An erratic schedule is more likely to lead to insomnia. Some people may live by the “I’ll sleep when I’m dead” motto, but your need for sleep is heightened when you’re diagnosed with fibromyalgia. Think of prioritizing sleep as a part of your treatment plan. Refer here to our Sleep Help article for many additional suggestions. Many insomnia sufferers also add mediation or yoga into their evening routines, and simply taking a hot bath or shower can help most people unwind before hitting the sack. Daily exercise is also encouraged because it’s scientifically proven to improve quality of sleep, and falling asleep faster. Sleep apnea is typically treated with a sleep mask that keeps the airways open, but losing weight is often recommended as well. Restless leg syndrome is sometimes caused by a mineral or iron deficiency or another medical issue, so treating the primary cause is the best remedy. In some cases, prescription medications can help those with fibromyalgia better deal with insomnia so that sleep disturbances don’t increase their pain during the daytime. It’s better to talk to your doctor about your unique sleep disturbances than to self-medicate with over-the-counter sleep medications that are sometimes addictive. And, as I so often say, it is best to always use only the lowest effective dose if you need a prescription sleep aid.